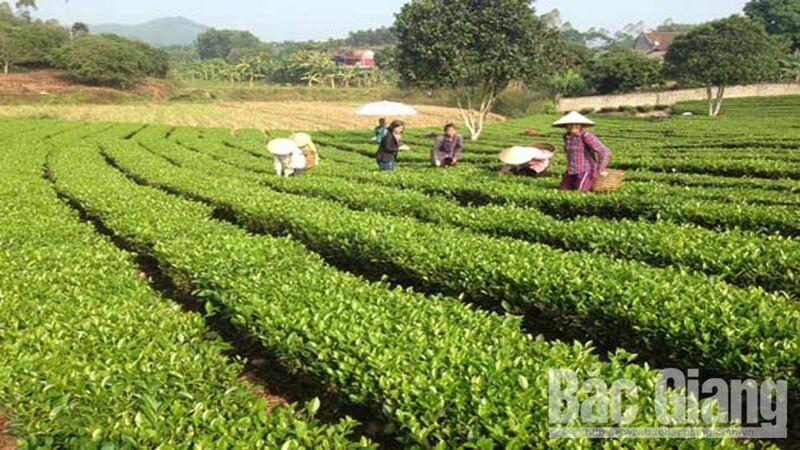 (BGO) – Hiep Hoa district is located on a breeding ground in the northern province of Bac Giang for investment attraction in industrial development with prominent achievement in economic structural change. 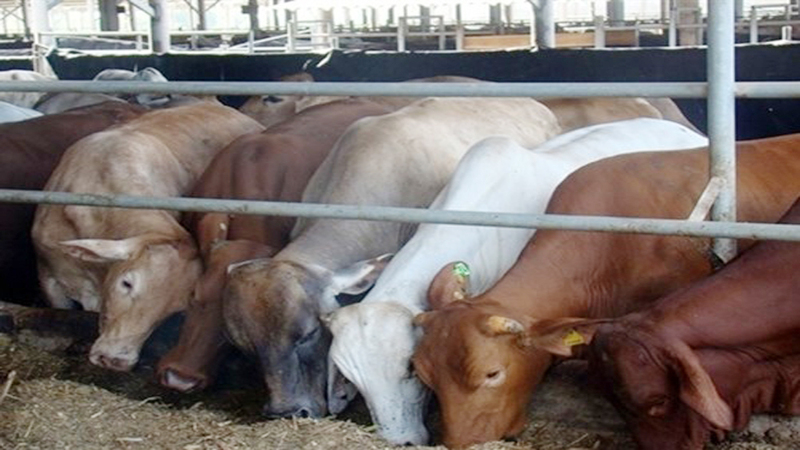 Besides the industry and service, the local authority has paid due attention to exploiting the potentials to promote high-quality commodity agriculture. Visiting Dong Tam 3 Agriculture Cooperative (Dong Tam 3) in Thuong Thang commune, I knew that Nguyen Van Nghiep, Director of the Cooperative is a veteran. After leaving the army, he participated in the local tasks with the role of Vice Chairman of the communal People’s Committee, Vice Chairman of the communal People’s Council. It was till 2014 when he stopped to follow the economic way. 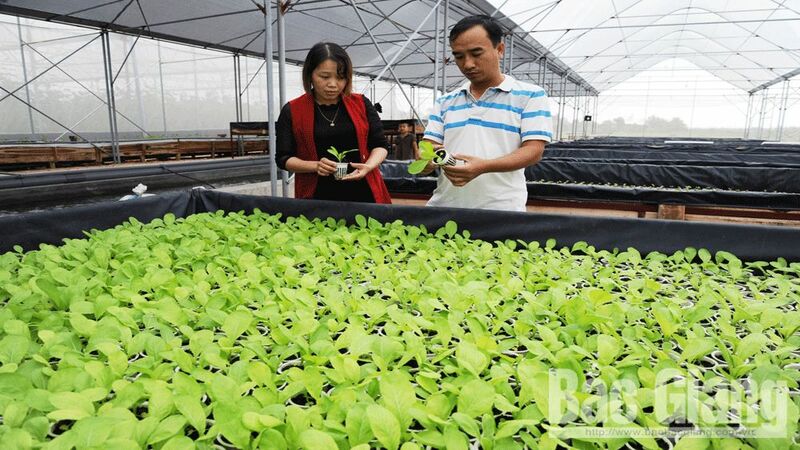 Hi-tech hydroponic model in the family of Le Cong Dinh in Huong Minh hamlet, Quang Minh commune (Hiep Hoa district). 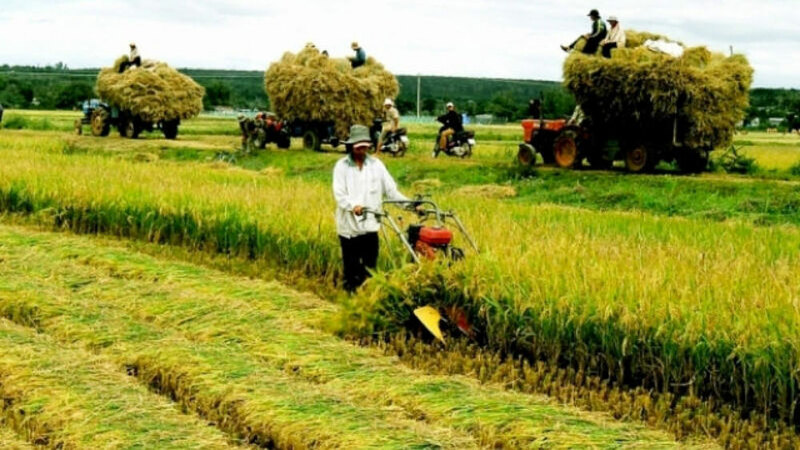 He considered that the farmers should change their habit of cultivation, invest the intelligence, apply the modern technologies....in order to make a fortune. 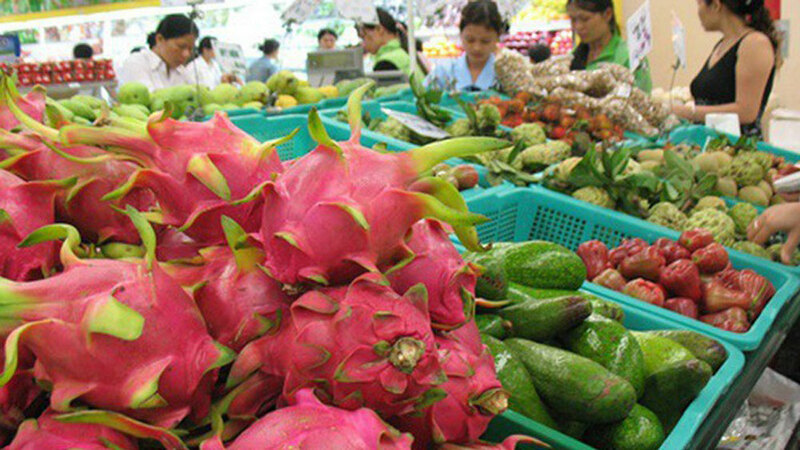 Thus, Nghiep asked the neighbors in the hamlet to contribute the lands and capital to establish the Clean Vegetable and Fruit Production Group. 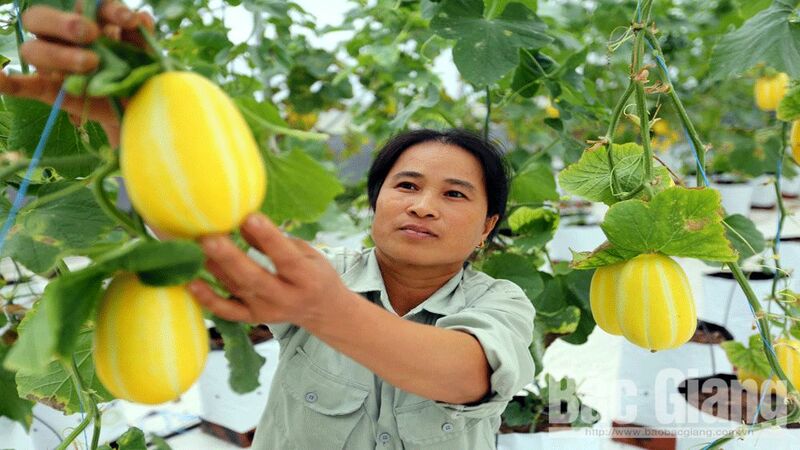 In the first crops, though the productivity of melon, cucumber and hi-quality vegetable grown in 2,500 square meters of membrane houses and organic rice cultivated in over 10 hectares of the field were modest, the clean standard was ensured, helping increase the income to the “shareholders” and stabilize the product output. 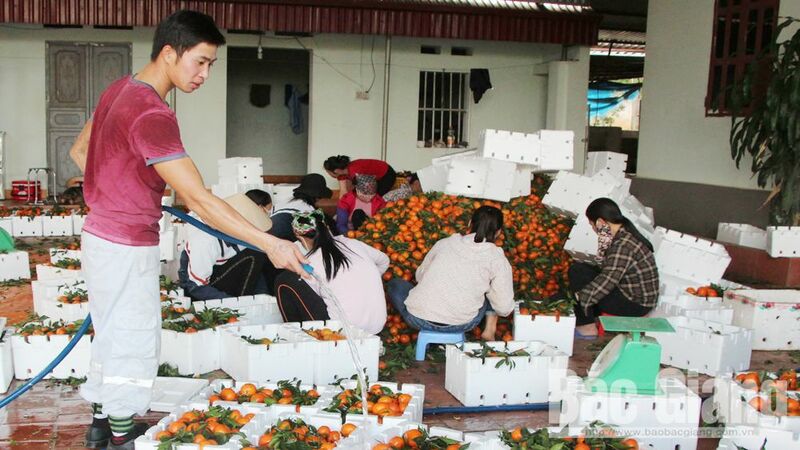 Hence, the Production Group become more and more developing and was “upgraded” to Dong Tam 3 Agriculture Cooperative with 52 members from only over 10 households in the initial stage. 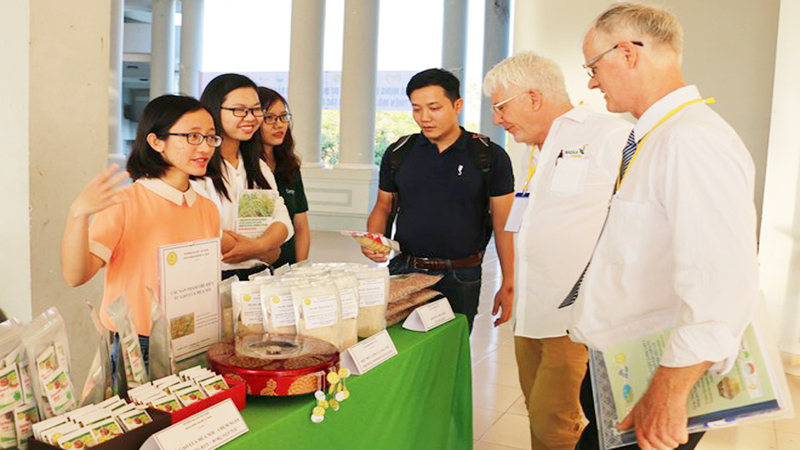 Its clean rice, fruits and vegetables in a qualified package with the stamp for origin traceability are not only sold at many supermarkets in Bac Giang province, Hanoi city and Ho Chi Minh city but also exported to several markets. 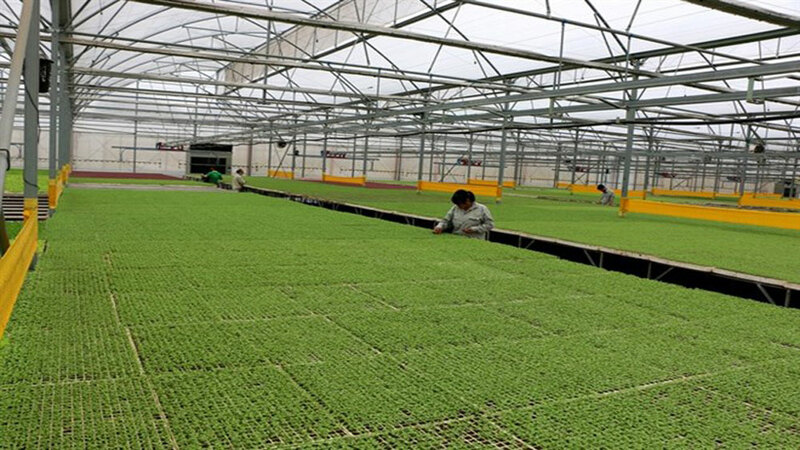 Particularly, Dong Tam 3 is executing the contract with a Japanese company to produce 9 types of lettuce under BLOF technology. The Cooperative has started building the synchronous and close preliminary processing area under the technical qualification with engineering drawing supplied by the Japanese partner. 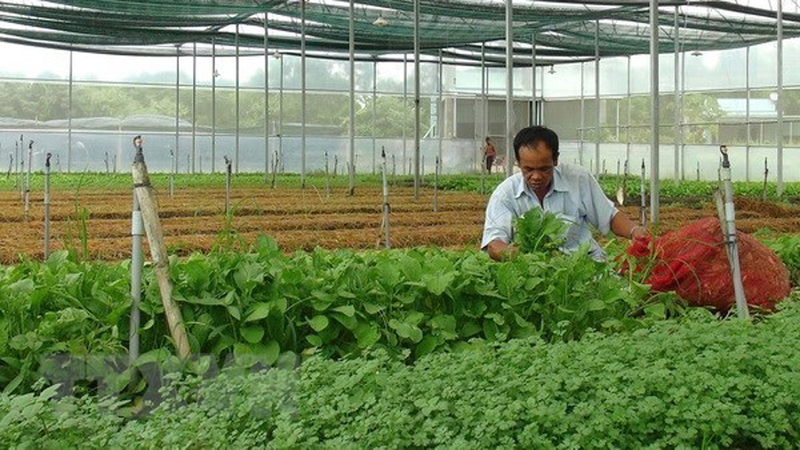 Besides, we visit Truong Thanh Breeding Cooperative (Truong Thanh) in Danh Thuong hamlet, Danh Thang commune. 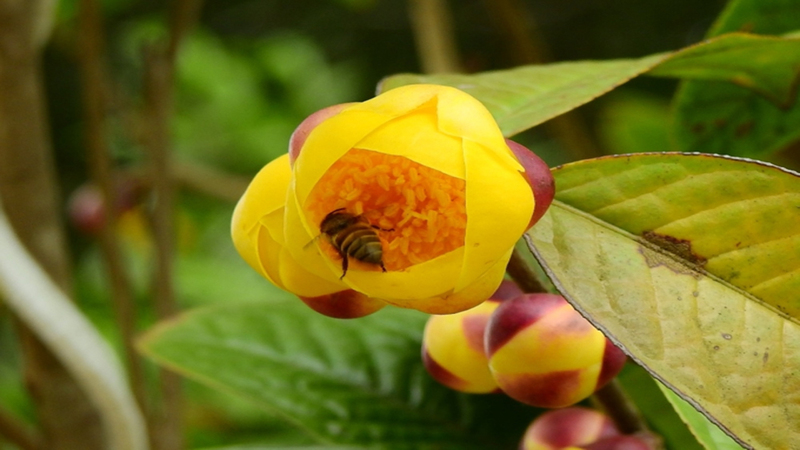 The Director To Hieu Thanh is also a veteran with early thought of doing business. 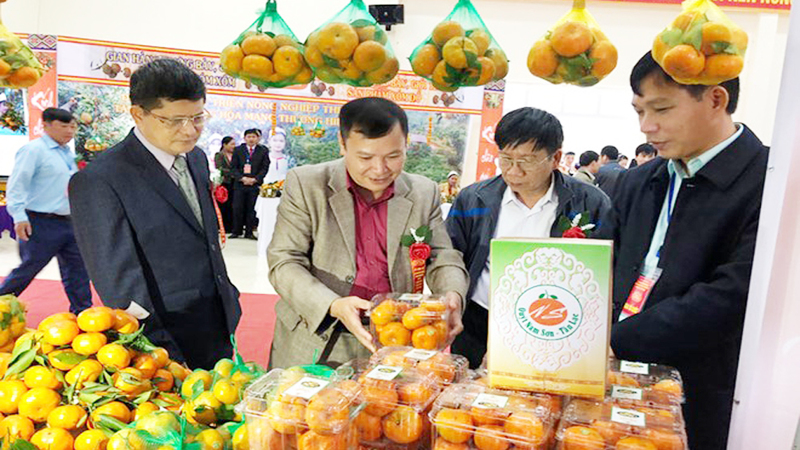 After many ups and downs, in 2015 he established Truong Thanh with 7 pig breeding farms and a food producing facility. He raised the organic pig under a strictly controlled procedure. His cooperative now covers more than 5 hectares and employs over 50 workers to breed the pig under the high-quality standard. 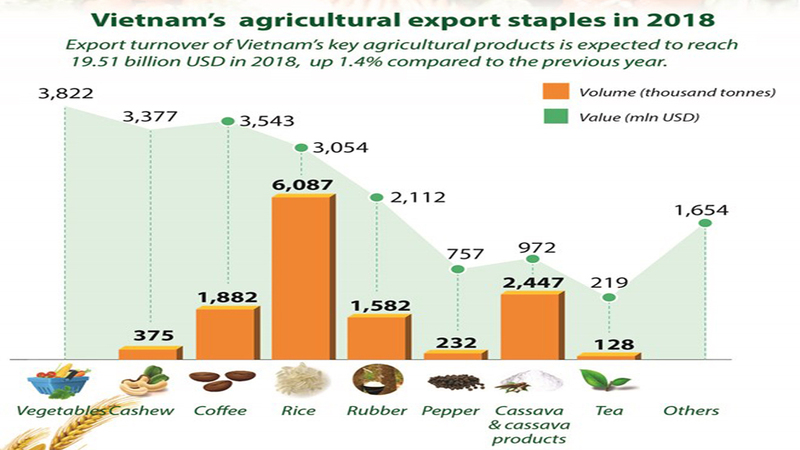 Annually, some 1,000 tonnes of pork are sold to the market and bring back a revenue of some 12 billion VND (over 517,500 USD). 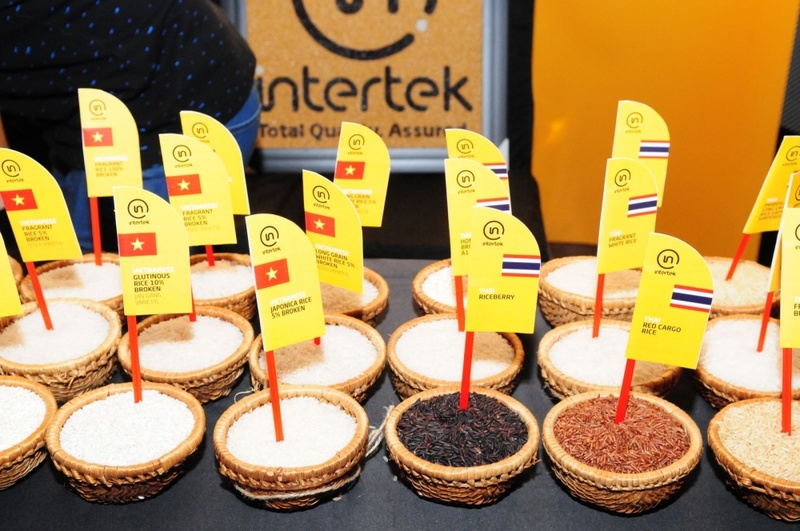 To date, the district is home to 10 products with protected trademarks and stamp for origin traceability. 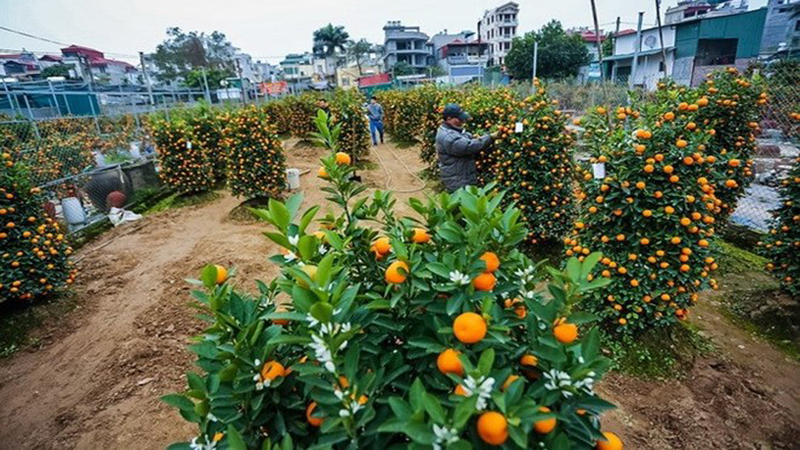 There are several outstanding farmers to help each other to get rich and stably reduce the poverty in Hiep Hoa district. Typically, Yen Dung born engineer Hoang Thi Phuong, an “8x generation” farmer grows clean potato to buy a car. 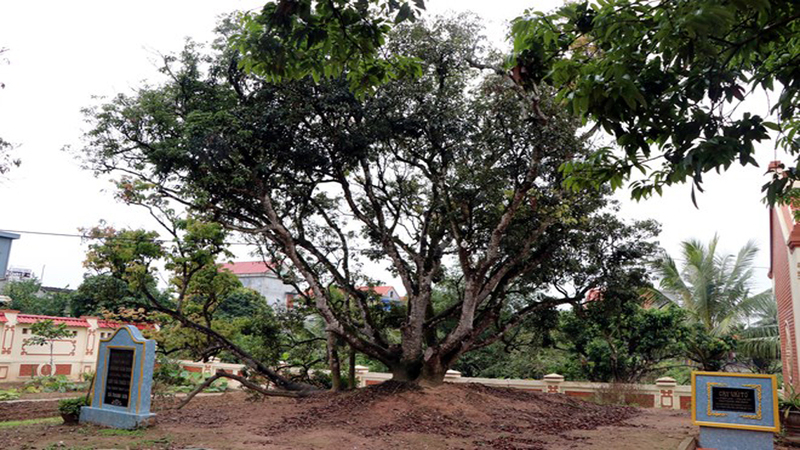 Korean pear-shaped melon growing model at Quang Minh clean agriculture cooperative (Hiep Hoa district). 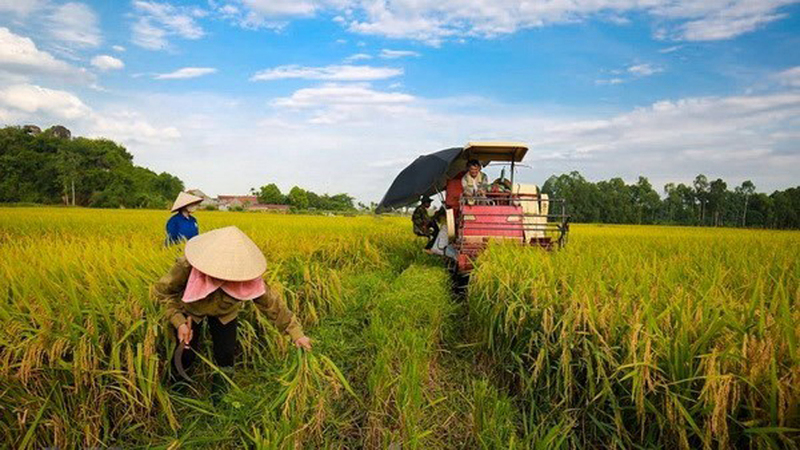 Graduated from Thai Nguyen Agriculture and Forestry University in 2005, Phuong followed her husband who shares the same profession to work at the agricultural sector in Hiep Hoa district. 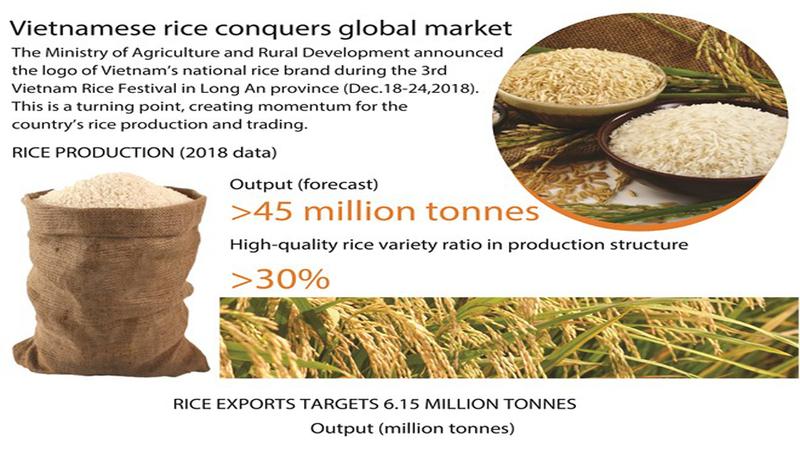 The young engineer soon found that many households left their fields empty on the winter crop while several food processing plants in the area la cked raw material for snack and noodle productions. 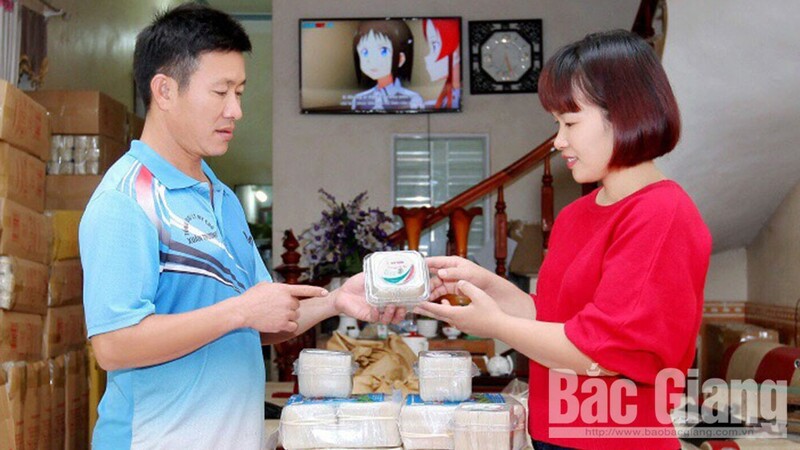 She persuaded some households and friends to hire the others’fields, sign contract of supply and product consumption with Tan Nong Company to produce the Atlantic potato for processing. 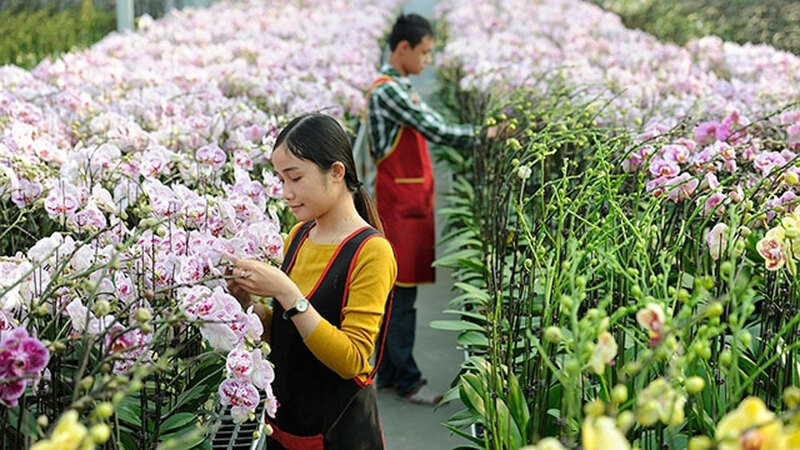 In 2011, her “consortium” provided the plant with 150 tonnes of materials in 10 hectares, making a benefit of about 300 million VND (about 13,000 USD) and creating the job to 50 laborers. One year later, she boldly expanded the scale up to 30 hectares, supplied nearly 500 tonnes of materials to the plant and earned over 1 billion VND (over 43,100 USD) as well as employed nearly 150 workers. 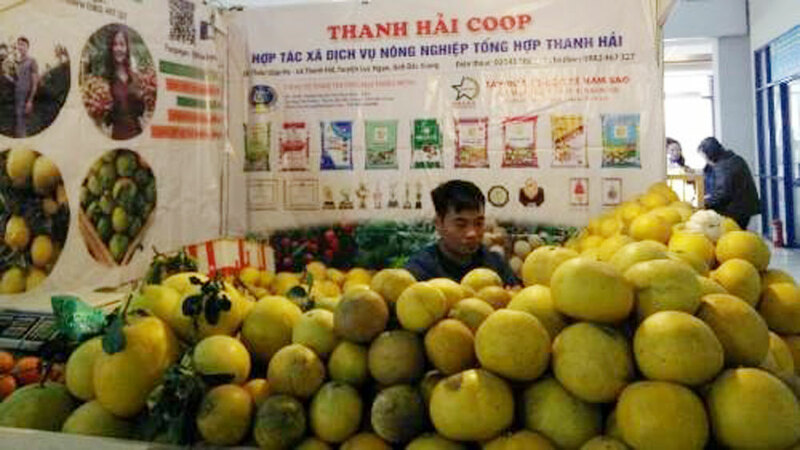 After 5 crops of potato cultivation, Hoang Thi Phuong was able to buy a car worth over 500 million VND (over 21,500 USD). 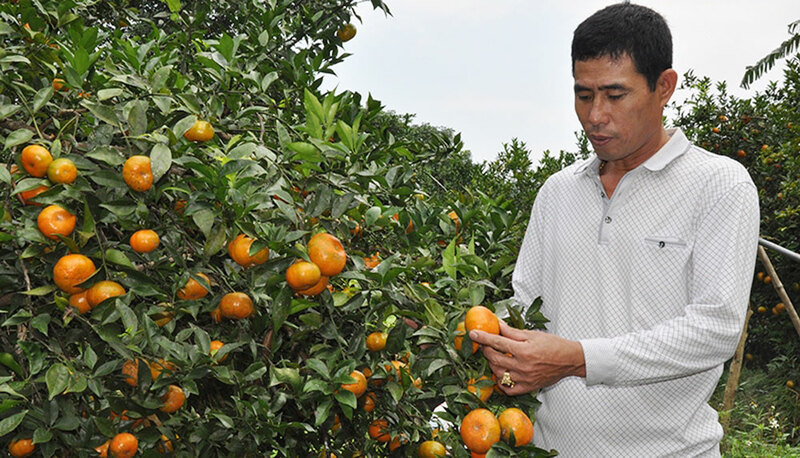 The “8x generation” farmer Hoang Thi Phuong is the inventor of Lilium growing model in Hiep Hoa. 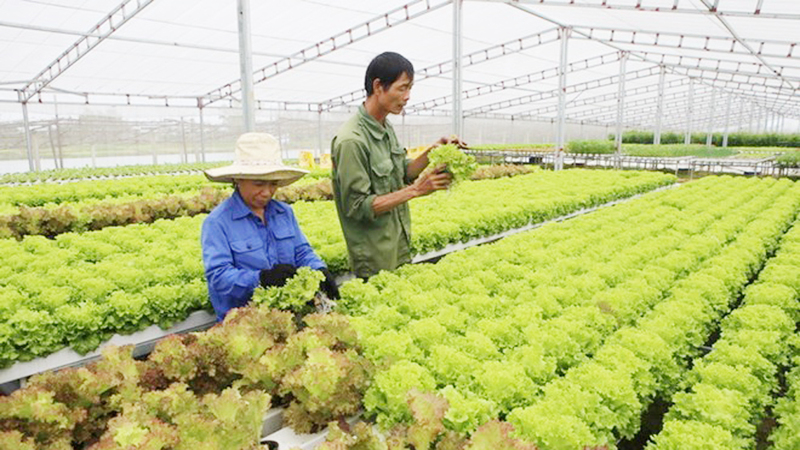 After successfully piloting the model with an average efficiency of 150 million VND (over 6,400 USD) per sao (old measure units equal to 360 square meters), Phuong proposed the district leader to allow several households to expand the models. 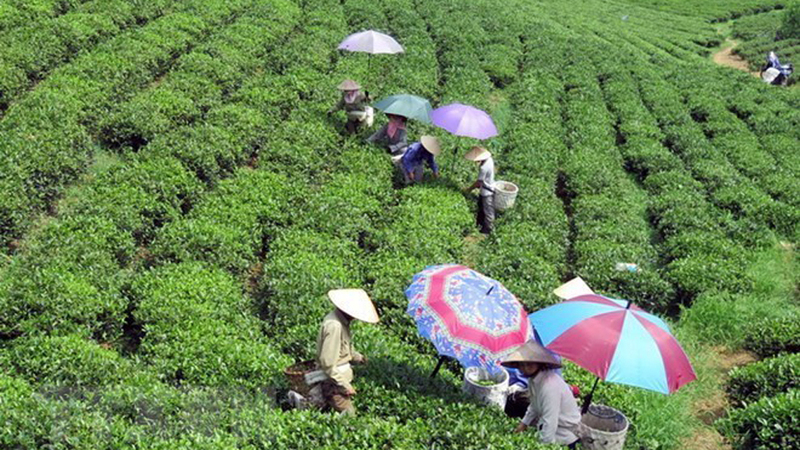 The Lilium is grown by 10 families in Thang town and the communes of Hoang Van, Duc Thang, Xuan Cam, Doan Bai...after 4 years. 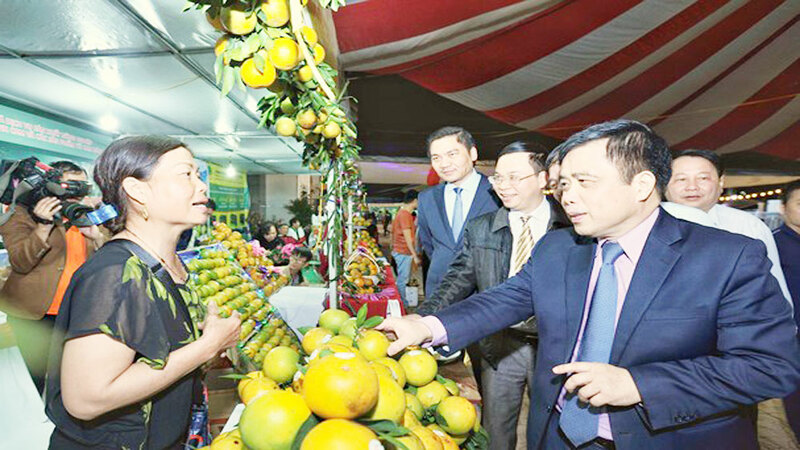 The local Lilium has widely conquered the markets in Hanoi and northern provinces. 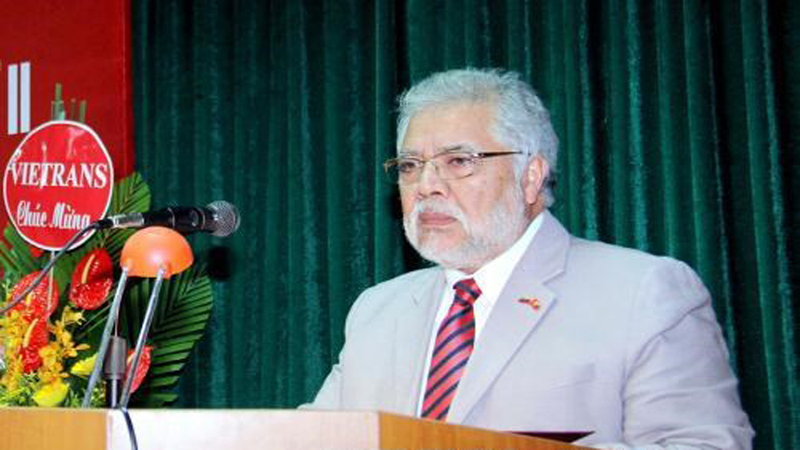 For the upcoming time, the district authority targets to establish 2 new style cooperatives. 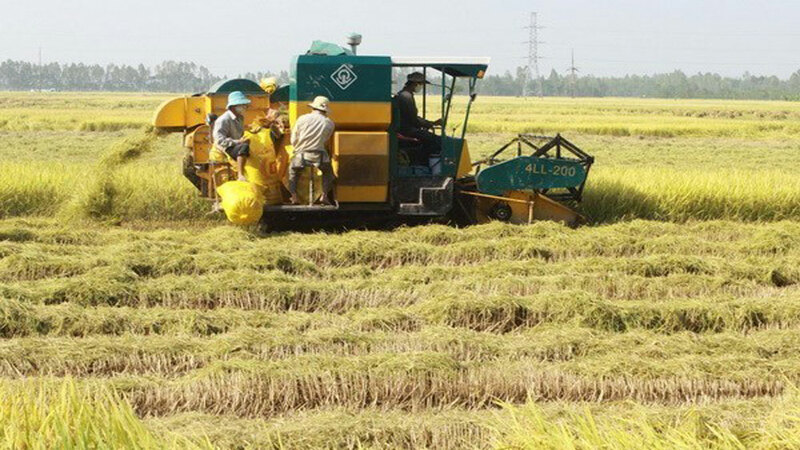 To facilitate their effective operations, the district will continue gathering the land, mobilize the expenses to build membranes house, transport infrastructure and irrigation system while creating favorable conditions to the enterprises who supply the varieties, fertilizers and sign contract of product consumption. Additionally, the district People’s Committee in August 2018 chaired to set up the Hi-tech Membrane House Club at Dong Tam 3 Cooperative to link the local farmers which is crucial to ensure sustainable development. 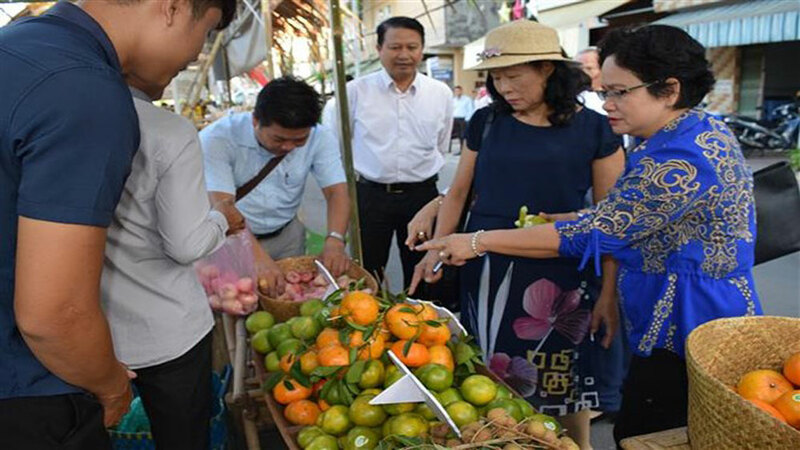 National Assembly Chairwoman Nguyen Thi Kim Ngan has said her visit to the Republic of Korea (RoK) aims to push forward the practical and effective development of the bilateral strategic cooperative partnership. 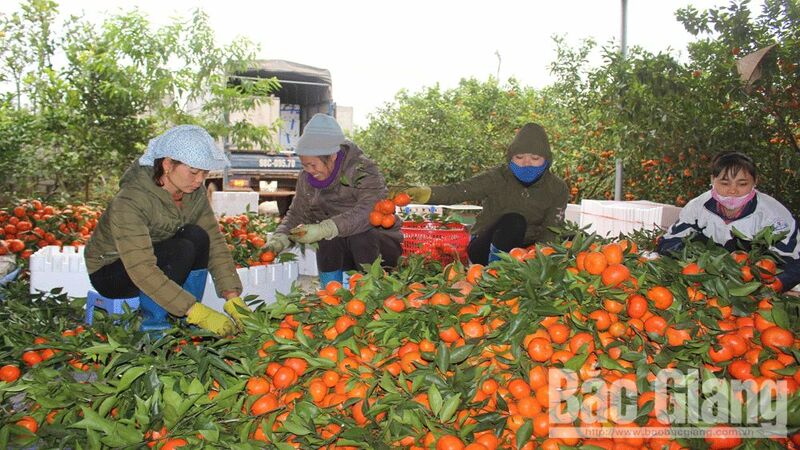 (BGO)- In recent years, Bac Giang province has established and expanded the cooperative ties with Israeli partners in many sectors and gained a number of positive results especially in the agricultural sector and human resource development. (BGO)- A working delegation of the Ministry of Foreign Affairs (MOFA) headed by Deputy Minister Vu Hong Nam, Ambassador of Vietnam to Japan for the period of 2018-2020, paid a working visit to Bac Giang province on 16 October about strengthening foreign affairs and developing cooperative ties between Bac Giang and Japanese partners. The delegation was welcomed by Duong Van Thai, Vice Chairman of the provincial People’s Committee (PPC) and leaders of some related agencies. 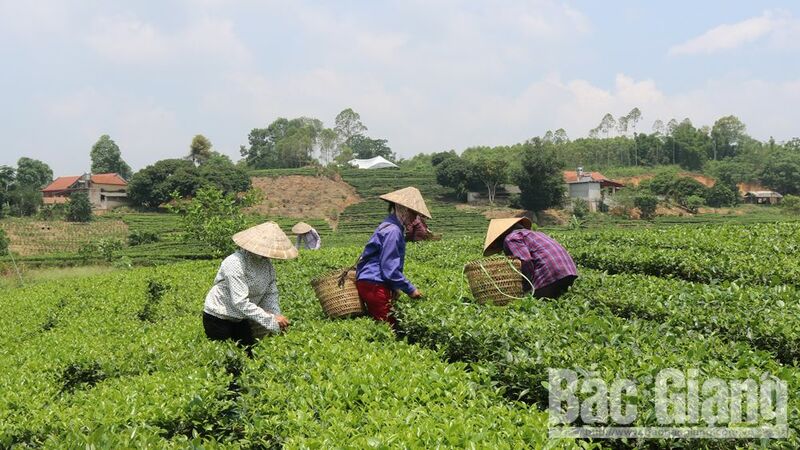 (BGO) – The People’s Committee in the northern province of Bac Giang on October 10 held the tourism investment promotion conference 2018 in Bac Giang city.